Welcome to Crowne Plaza Northstar! Whether this is your first stay with us or one of many we want to welcome you to our beautiful hotel located in the heart of downtown Minneapolis. We are centrally located and connected by skyway to most major businesses and entertainment venues. Our beautiful rooftop Skygarden event space is perfect for corporate and social events. We have exceptional dining in our Caf Northstar and Krona Bar & Grill. 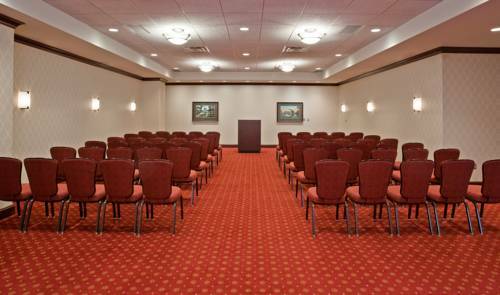 All our meeting space is located on the 7th floor for your convenience, and our wonderful staff is here to assist you ever step of the way! Cafe Northstar: Located on the 7th FLoor with a full menu available for Breakfast and Lunch Daily . Casual restaurant modeled in the style of a contemporary European Scandinavian restaurant. Childrens's program - Mill City Musuem is a great place for kids with many interactive exhibits. Downtown Light Rail Transit StationThe Light Rail provides transportation to the MSP Airport, University of Minnesota, downtown St. Paul, Mall of America as well as the Target Field and US Bank Stadium. Target CenterHome of the Minnesota Timberwolves. The Target Center is also a major venue for concerts. Mall of AmericaLocated south of Downtown Minneapolis in Bloomington. The mall is the largest indoor Mall in North America. It features Nickelodean Universe and the Sea Life Aquarium. There are over 500 stores located in the mall. Minneapolis Theater DistrictThere are 3 premier theaters located on Hennepin Avenue ~ The State Theater, Orpheum Theater and Pantages. Walker Art Center/Sculpture GardenWalker Art Center features a unique outdoor sculpture garden. The Walker is recognized internationally as a singular model of a multidisciplinary arts organization and as a national leader for its innovative approaches to audience engagement. Orchestra HallState of the art facility hosting world renowned performers. Minnesota State Fair FairgroundsOne of the nation's largest state fairs is held during the last week of August through Labor Day. The fairgrounds is also host to several car shows and other summer and winter events. Minnesota ZooState of the art Minnesota Zoo is constantly upgrading exhibits to enhance the experience. Xcel Energy CenterNHL Hockey arena and home to the Minnesota Wild. This venue also is host to several major concerts and the Minnesota Swarm LaCrosse team. Mystic Lake CasinoMinnesota's largest casino located just 30 miles of Downtown Minneapolis. The facility is open 24 hours per day. US Bank StadiumUS Bank Stadium is the home of the Vikings and will be opening in 2016!